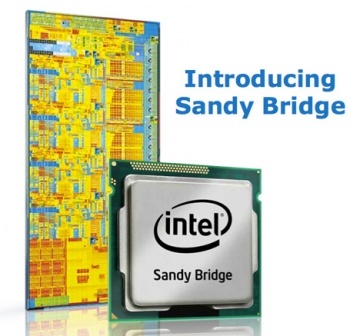 Intel is recalling its newest support chip, the Intel 6 Series, for its speedy degradation. Earlier today, Intel revealed that a design flaw in one of its recently released chipsets, code-named Cougar Point, causes the SATA ports on its new Sandy Bridge processors to degrade over time. SATA (or Serial-ATA) ports are used for connecting devices like hard drives or DVD drives to the processor, and if the ports degrade until these devices can't connect, then your fancy computer just became a hell of a lot less useful. Because of this, Intel has issued a partial recall of the chipset. The chipset has only been available since January 9th, so the impact of the recall should be relatively minor. The only affected computers, Intel says, are ones that use Second Generation Core i5 and Core i7 quad core based systems. If you purchased a computer featuring one of these processors, Intel urges you to go to its website and click through to the support page. While this mess gets sorted out, owners of affected machines can continue to safely use their computers. The problem is not something that should immediately present itself, and may not be encountered at all in the time it takes Intel to rectify its situation. While it may be an inconvenience to all those affected by the faulty chip, no one is going to feel the repercussions like Intel will. According to its site, the company expects this recall to set it back about $700 million this year.